These took the pain right way ! These Started The Copper Arch Support Trend ! – Super comfortable and can be worn directly on the skin or over a sock to get the support you need! 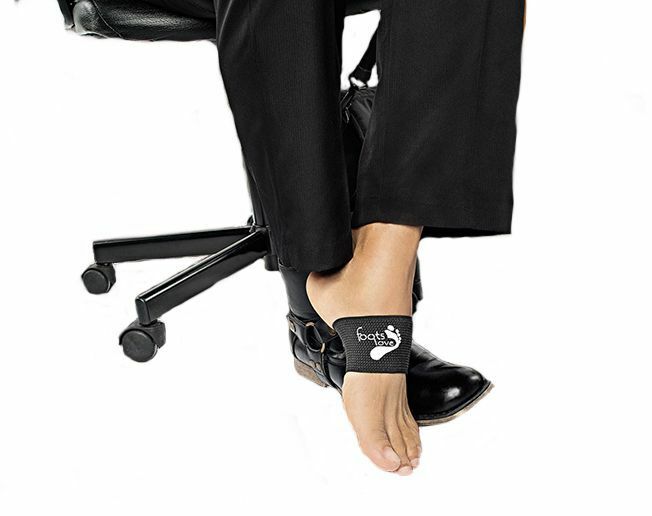 Perfect arch supports for Sports, Around the Office comfort, Night Splints or just lounging around in comfort. Trust the Original, Stop Ach Pain Fast ! Easy Slip On Over Arch. Slips right on. Position where fits best. Can Wear On Skin Or Over Socks - Stocking. Either way, these work great. We Started The Trend. 35% Copper Content Infusion. There is none better. Doctor Recommended Design. Get fast relief from arch pain with the Copper Arch Supports Sleeves that started the whole craze. Preferred by trainers and doctors everywhere to relieve arch and heel pain, heels spurs, flat feet and high arch aggravation. Promotes alignment for back, hips, and knee pain. Fast all-day comfort in 2 ways. 1) Compression that gently lifts to mimic the natural bow of the arch, instant pressure points turned off relaxing the nerves to allow healing. 2) Copper is a mineral the body needs. Our special blend of copper energy fabric promotes cell tissue generation and quicker muscle recovery. Increased blood flow helps to stimulate better circulation, and reduce lactic acid build-up. Perfect for at the the Office, Playing Sports or around the House In Comfort. Comfortable for all day use. Can be worn on skin or above Hose / Socks. Available in Black, Tan or Pink to match outfits. Corrects Foot roll for Improved posture. (Supination and Pronation) Align the back hips and knees. Can be worn 24/ 7 and make an excellent night brace for your sleeping comfort. Comes 2 in a Pack. Soft yet Durable. Anti Itch, Anti Bacterial and Odor Free Fabric. Breathable Moisture Wicking prevents Perspiration. These do work! Find out why everyone copies Foots Love . Give Support to Favorite shoes with none. Give new life to your favorite shoes that hurt your feet. 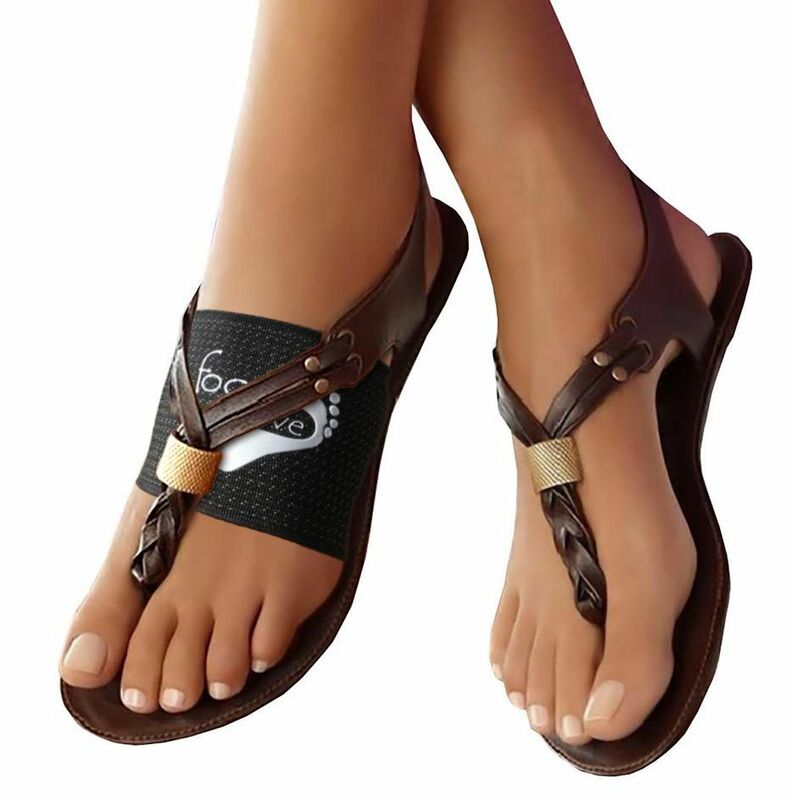 Great Arch Support for sandals and shoes with little or none. This is usually the case for Arch pain. Pool and Beach ready. Will not weaken or break down when wet. Hand wash with mild, soapy water. Air dry. How to Measure fit? Measure around arch starting at the center of arch bottom, around top of foot and back to start. Should be no more than 12 “. Foots Love Original Copper Arch Supports have helped many Thousands of users and counting. We are sent so many stories of how these have positively changed lives. From Nurses on their feet 12 hours a day to Construction workers whose Boots hurt them. We are honored to hear every story. These are proven Align the Body and reduces pain in Knees, Hips and Back Improve blood circulation, reduce inflammation, and increase energy. Join Us. 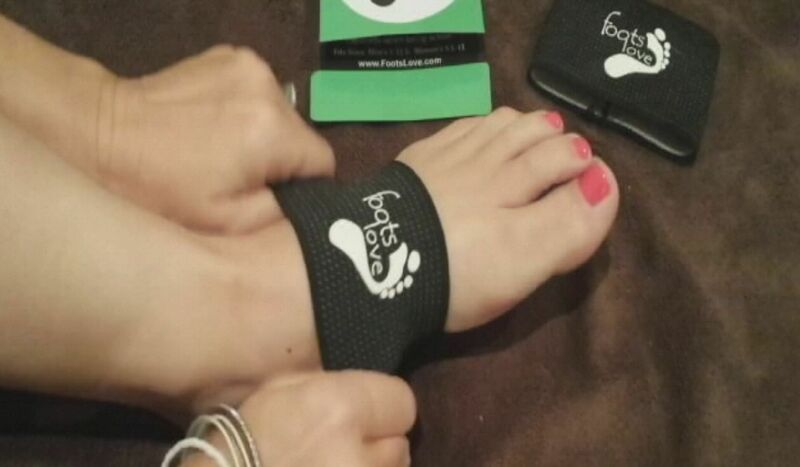 Foots Love Active Foot Care is the world’s leading developer of Innovative foot care products for active people and we have many reason to buy from us. We only make a few products but each are the best possible you can find on the market. We create products that start trends, everyone copies us. We must be doing something right. We use national fulfillment centers to ship your order. 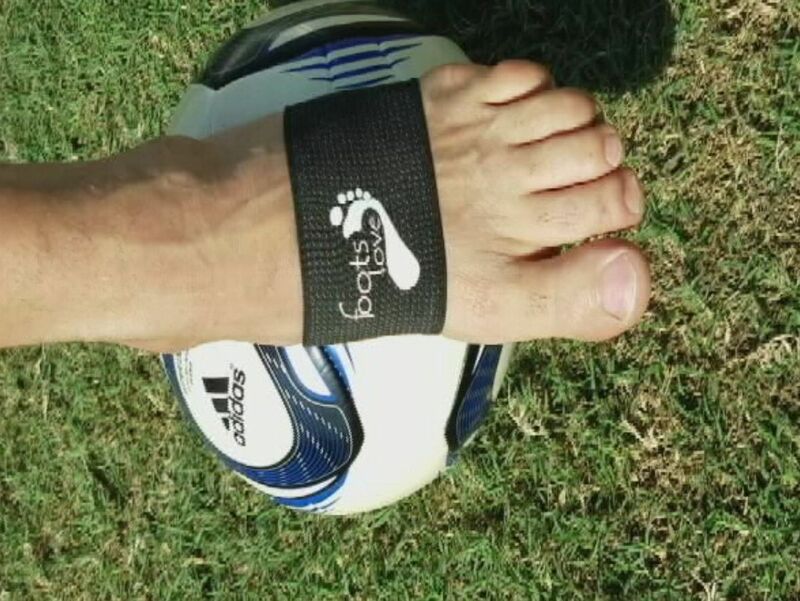 Getting your foot pain solved fast is out goal. Best Price available for top notch quality. We always stand behind our products and often ship replacement with our new improved models. USA customer support. Courteous knowledgeable staff to help with any needs. We offer a 100 % Satisfaction money back guarantee. We know not all products work for all people, but we have a ton of satisfied customers. All items in stock and ready for your comfort. We do care and are here for you. Quality is job one with our material and service. Shipping for All Foots Love Products are Ship Rushed, using a Leading Fulfillment Company. We are trying to lower cost but have to add this in. All International ( Non- Us ) orders incur a $25 shipping charge which are shipped via standard US Mail and may take 2 – 3 weeks to arrive. We offer 2 Day Expedited Shipping for $12.99 and 1 Day Priority for $ 21.99 no matter how many items you order. We offer a 100 % Satisfaction Guarantee or your money back. Please contact us for a return Requests. See Support Button Above or Below. Return Policy Does Not Apply To Purchased with a Discount code. If you are buying for arch support, give it a week before you make up your mind. The first day or two I wore these bands, I felt like they were making things worse. I toughed it out for a week, as I had read in a review, and by the end of the week I could really feel a difference. My feet were not hurting at the end of the day, and they did not hurt when I got out of bed in the morning after wearing the bands the day before. They also held up much better than a competitor brand I purchased at the same time. I would definitely buy these again and recommend to friends. When I slid this deceptively simple cuff out of its plastic packing sleeve, I totally gave it the side eye and thought, “How could wearing this stretchy band around my foot possibly relieve the intense pain?” I was soooooooo wrong! I’ve struggled with several different types of pain in my right foot since undergoing orthopedic surgery to correct a genetic abnormality in my late teens (I’m now in my early 30’s). The procedure left me with a few metal plates and screws embedded along the metatarsal and cuneiform bones of my big toe. Over the years, the pain has manifested as everything from dull, widespread aches to sharp, searing jolts of nerve aggravation. Most recently, it popped up to say “hi” in the form of plantar fasciitis about 5 or 6 months ago. I’m a fairly active person and enjoy running, which probably isn’t ideal, so I’m always looking for ways to outsmart my janky foot. When the PF started, I tried massage, night splinting and stretching. While helpful, none of these things really seemed to get to the root of it. If you’ve tried everything else without finding relief, I highly recommend giving it a go. You, like me, might be surprised what a difference a thin, unassuming foot band can make. The compression and support are magical. LOVE these so far! I have plantar fasciitis in both feet and very high arches. I own good shoes but still have problems with the support. I wore them the first day (yesterday) and was very impressed with how they Hug my feet and had no pain! Today I am wearing them bowling and OMG the difference is amazing! I will be purchasing more in the future! You do have to get used to them. They are quite tight but that’s the point. If you have wide feet they may be too tight. After one week my very painful plantar fasciitis is almost gone. Love these. these bands are awesome. I wear them all the time and the pain went away within a week. I recommend wearing them to bed too for faster healing. I’m finally able to start walking in the park again. Support Was Awesome. Thank you for the fast reply and taking care of my needs. D.
Wow! I rarely write a review for anything but I must say, I am Extremely satisfied with this purchase. Being in the service industry and being on my feet 6-10 hours a shift my feet would be aching and just killing me. As soon I put these on you could really feel the difference. I don’t wear all the time, mostly when I get home or when I wake up in the morning as a recovery and relief. I’m definitely going to be sharing this with my co-workers. I have a collapsed arch on my left foot , work full time in the service industry on my feet the majority of the day. Then you get home and still have work to do right? Needless to say my foot is usually killing me before bed. I am trying to “fix” my foot without the use of any medication. This is not easy, but I’m doing it. I honestly don’t think I could do it without this product. I wear a big ugly boot as much as I can at work , with a generic orthodic. This is not much relief but is what my over priced podiatrist suggested. Maybe he needs to read reviews on Amazon to help his patients that are in extreme pain and desperate for relief. This has been more helpful than anything I’ve bought for $100 + from my dr. I was in so much pain one day I was literally crying from pain and frustration… I got in my the computer, DID A GOOGLE search and see that ARCH PAIN is pretty much Foots Love for Copper Arch Supports. YES IT WORKS! And like another person said in a review she doesn’t know how but it does. I came home yesterday after a long day was in a lot of pain , and thought duh put your foots love on!